During the first day of Google I/O, I roamed the App "Developers Sandbox" looking for the next big thing in apps. The companies exhibiting their apps were invited by Google, and many are very small companies that have been around only a couple of years. But they've all built something innovative on one Google development platform or another. Glympse (for tablets, Android 3.0) is called a "simple location sharing" app by its chief executive, Bryan Trussel, who is in attendance to demo the product. Using Glympse you can give your friends a "glympse" of where you are and where you are going for a period of time of up to four hours. The glimpse simply displays your location moving on a square of map. For instance a delivery person could send the delivery recipient a glimpse (via e-mail) of his progress making it to the delivery location. A cable installer might send a Glympse to the person who must be at home at the time of the install. If you want to be more social about it, you can create a glimpse post it on Twitter or Facebook, so that all your friends can track your movements on a map. Because of privacy issues, tracking someone else's cellphone location has always been a no-no, but Glympse deals with this concern by making the maximum glimpse time 4 hours. After that the person being glimpsed must approve more time. Glympse is also available for iPhone, Windows Mobile, and soon Windows Phone 7. Springpad is designed to help you easily create a reminder for all the things you see during the day, and want to remember, but simply don't have time to write it down. For instance, you're visiting a book store and you see a book you eventually want to read, but it's only on hardcover and too expensive. Using Springpad running on your Android or iPhone you quickly scan the bar code, and later when the book comes out in paperback Springpad will send you a reminder. If you see something you want to remember online while browsing in Chrome, and you later buy it because Springpad reminded you about it, Springpad gets a cut of the sale. If someone tells you about something you want to remember, you'll have to speak it or type it into your phone or tablet. The app seems to have ways to quickly record about a thousand things that people routinely let fall through the cracks. Because I am always forgetting about bands I want to check out or books I want to read, I'm going to give Springpad a try. The Chrome app also has an offline mode so that you can "remember" things even while offline. The company announced a new Honeycomb app for tablets. We've written about this app before, but I believe the new version the company is announcing is a big step in the right direction. 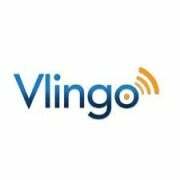 Vlingo is a voice recognition app that allows you to speak orders to your smartphone without having to actually touch the phone. This is huge for people who want to use their phone while they drive. With the new release Vlingo has added a "guide" screen that tells users exactly what it can voice-command the phone to do, and what words to use. The new version is also sensitive to the ways your normally communicate with your contacts: if you normally text Bob, and never e-mail him, Vlingo will initiate a text message when you say "message Bob." Vlingo is now pulling local search information from places like Yelp and Citysearch so that when you speak "find vegan pizza" it will find you the pizzerias in the area on a map, with reviews about each place. Vlingo, we learned, will ship will the Samsung Galaxy II when it launches in the United States. GoAnimate is a cool and fun (mainly fun) app built on the (Google) YouTube platform that lets you quickly create your own animated cartoons. The app starts you out with scene and setting templates, as well as hundreds of stock character types to choose from. There's even a tool called the Character Creator that lets you build your own characters from scratch if you don't want to use the stock characters. You can either type in the dialog, or speak the parts in so that your character talks with your voice. In about 5 minutes I created a scene in which an animated Steve Jobs offered an animated Bill Gates $75 for a controlling interest in Microsoft. Gates replies "What?" Can you see the possibilities here? When you're done, you can share your cartoon in the same ways you normally share YouTube videos. Cooliris demonstrated its new LiveShare Chrome app, which uses the magic of HTML5 to do some crazy things with social photo sharing. In a nutshell, the app lets you collect groups of photographs, like from an event or of a specific subject, then lets your Cooliris friends comment on them or vote them up. But it's the highly animated way the app displays the photos for you that makes LiveShare cool. Far from the relatively static image presentation in Google Image Search, images in Cooliris's "Wall" move from side to side and get larger in response to the movement of the cursor on the screen. The way LiveShare shares photos on Facebook is also really cool. LiveShare puts a small version of the Cooliris photo "wall" in the Facebook newsfeed. And the photos have all the animated characteristics that photos in the Chrome app possess. So you can view the photos from Facebook, or you can click inside the small frame to go to the LiveShare site to get a fuller view of the photos. Day Two of Google I/O is today, and I'll be checking out more apps, including some cool new Android apps that run on Google TV. It's all Google all the time here. I'll have enough to last me a year after these two days are over.